There’s nothing like enjoying a tropical cocktail when on vacation. But why wait until you are sitting poolside in the Caribbean to enjoy your fruity cocktail? Piña Colada. Margarita. Mojito. Move over. There is a new cocktail in town, and it is sure to satisfy your tropical cocktail craving. 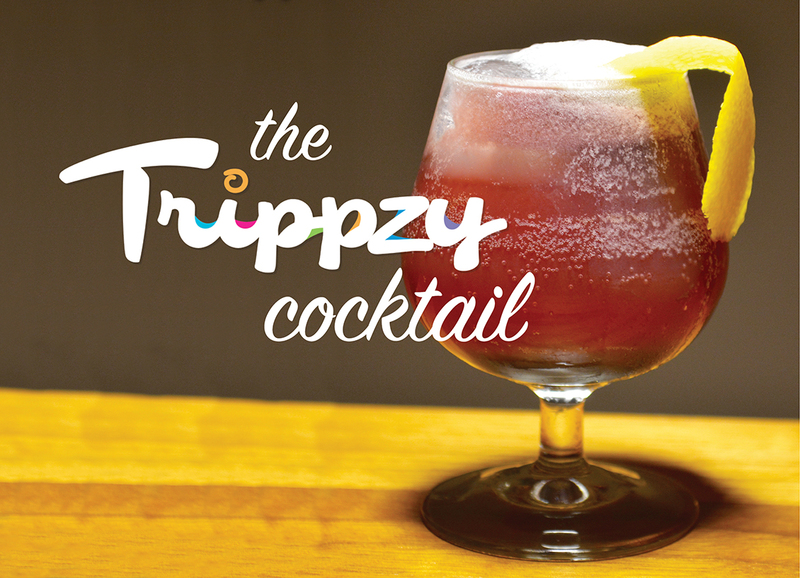 Try a Trippzy Cocktail, the tropical inspired cocktail from the folks at Trippzy, the hot new online game where you can earn real travel rewards by testing your travel trivia knowledge. 1. Select a chilled tulip shaped or traditional cocktail glass and add 1 cube of ice. 2. Run the inside of the lemon around the rim and save the lemon peel for use later. 3. Pour the ginger beer, rum, and port over the ice cube, and stir. 4. To create the foam, pour the egg white and prickly pear syrup into a cocktail shaker or use a whipping siphon. 5. Shake for 15 seconds. 6. Add 1 cube of ice or shaved ice to the shaker and shake again for 10 seconds. 7. Pour the foam on top of the ingredients in the glass. 8. Finish with dashes of bitters. 9. Twist the lemon peel over the glass and then slide it into the drink. It’s a pretty easy drink to make, and so very refreshing. It will take your taste buds to a tropical destination, and convince you to have more than one! Be sure to download the Trippzy app before you go on your next vacation. It’s fun, and will keep you entertained while waiting at the airport for your flight. Available in the Apple App store and Google Play.